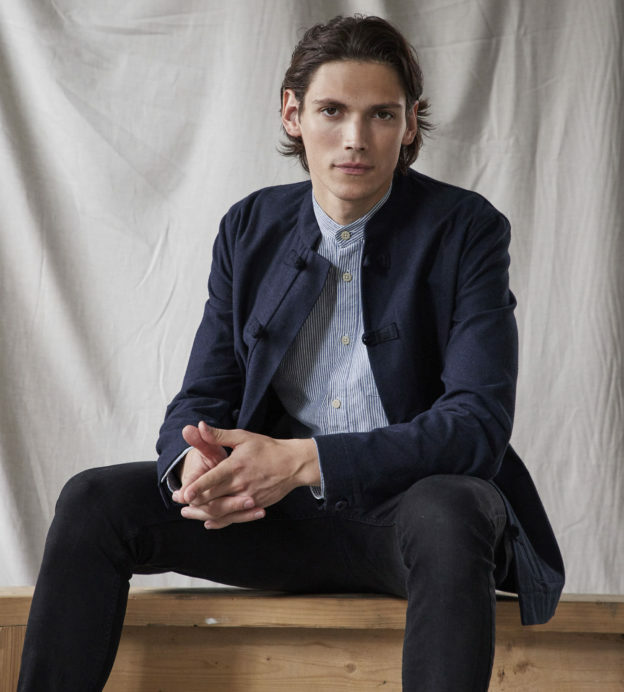 Since Sir Plus first scooped fabric offcuts up off the factory floor, we’ve loved everything the brand’s had to offer. Turning unwanted material into reliable, stylish wardrobe staples is both a fresh idea and economical in an industry infamous for waste. When we spoke to founder Henry Hales, he told us that his brand isn’t “dictated by trying to pre-empt the hottest new print or style,” and the newest AW18 collection is a testament to that. 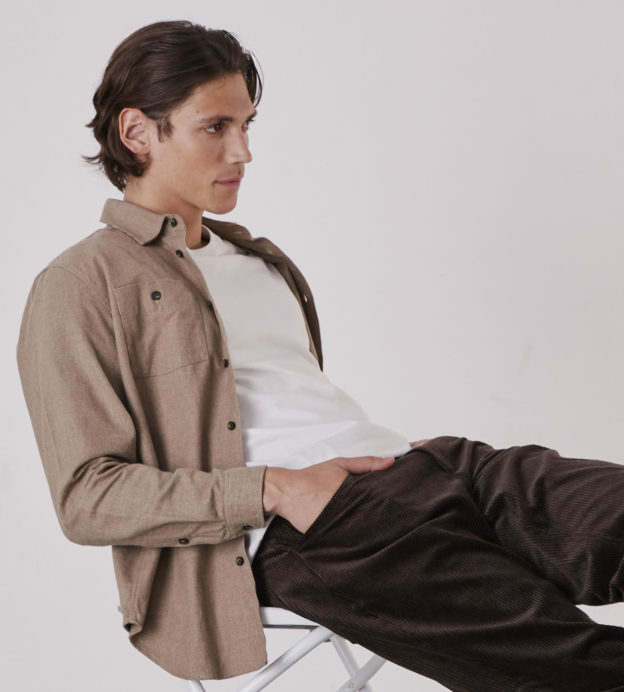 From corduroy trousers to relaxed jackets, these are the standout styles of the new Sir Plus range — and why we can’t wait to pick them up. There’s a time of the year — one that’s fast approaching — where dressing ourselves becomes increasingly difficult. The weather is turning, the temperature is changing and it can be incredibly hard to throw together an outfit in which we will feel comfortable all day. 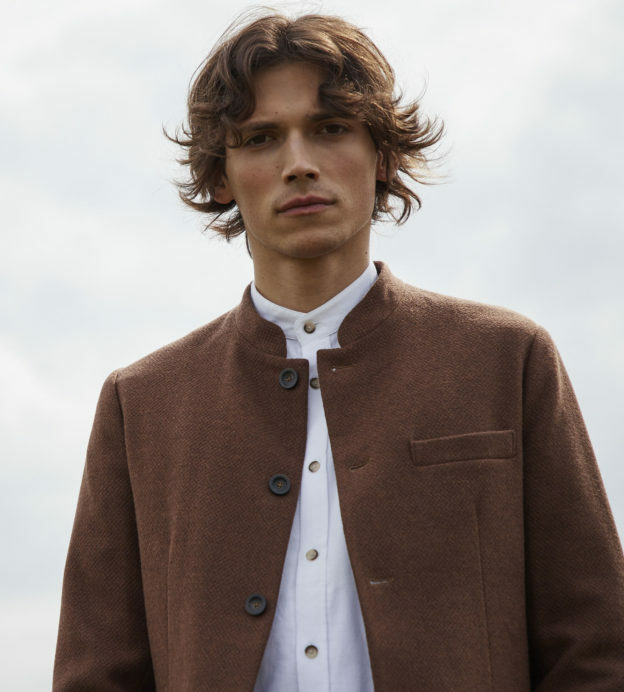 Thankfully, Sir Plus are here to help, with tight-knit jumpers and thick shirts — pieces that bridge the gap between under and outerwear and will be your autumn transition salvation. 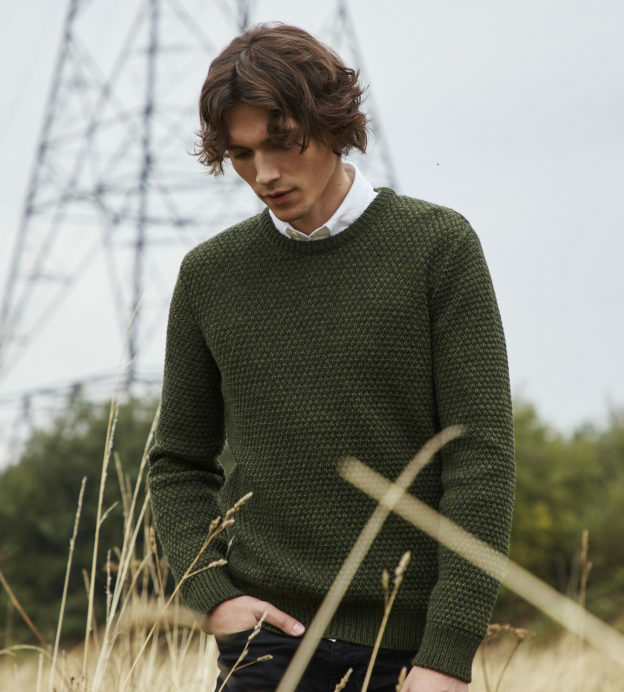 And, for that added autumnal feel, muted dark greens will give you a classic, yet rugged, look. In our current issue of Gentleman’s Journal, we set out the new sartorial rules of fine dining. 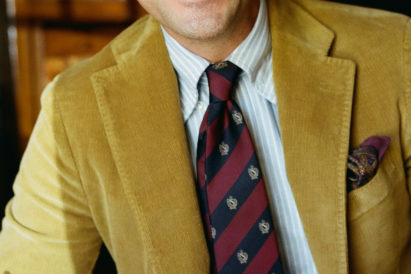 And, going out on a limb, we decided that a Nehru-collar jacket was the way to go. 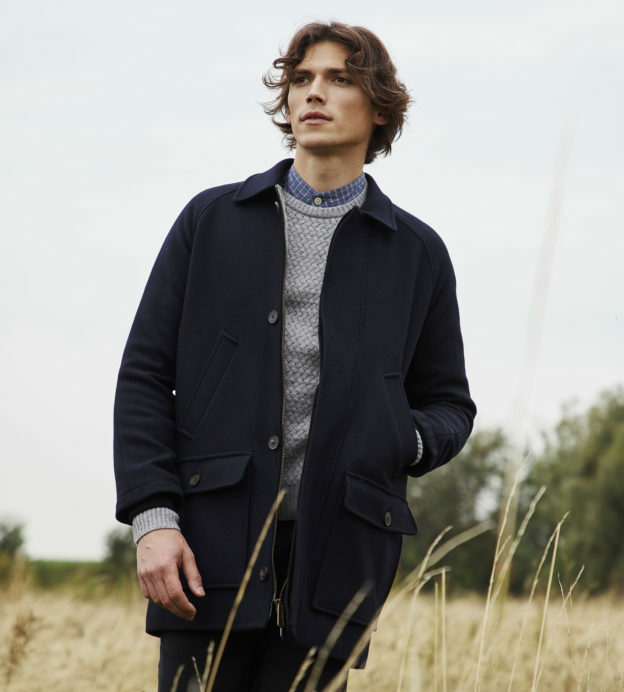 Of course, no-one does the style quite like Sir Plus, and the new collection is no different. Expect muted, autumnal colours in this signature style to up your formalwear — just in time for Christmas party season. 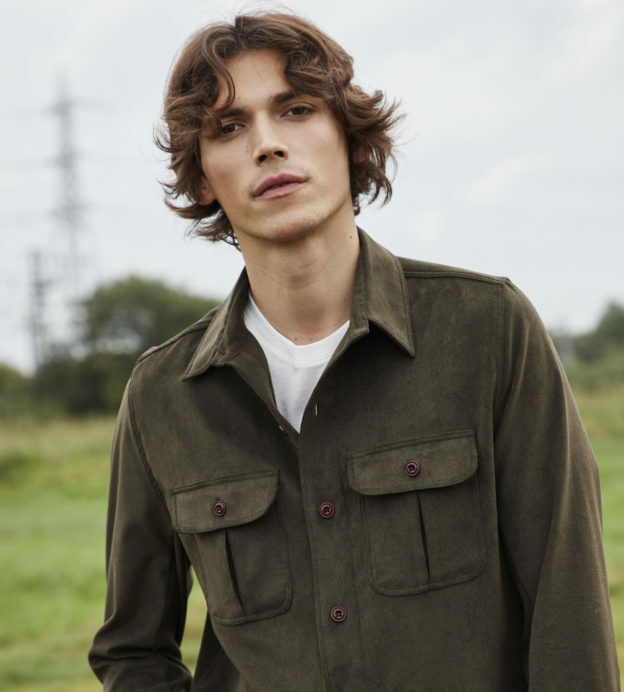 Or, if you’re keeping things more classic, opt for a more classic cut — albeit in a striking green, with patch pockets and unstructured feel. Whatever you want, Sir Plus have you covered. For a couple of seasons now, corduroy has been having something of a renaissance. Jackets, shirts and even accessories such as caps have been rendered in this royal fabric — and now Sir Plus have decided it’s the turn of your trousers. 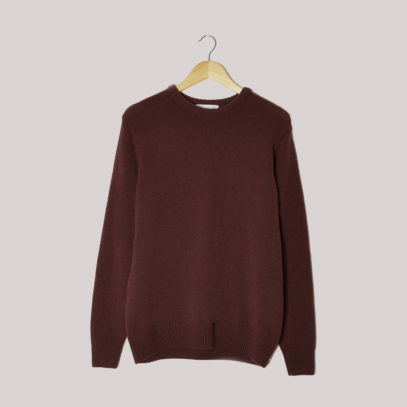 In an earthy brown, these are simply coloured, traditionally-cut trousers — and the perfect addition to your end-of-the-year wardrobe. 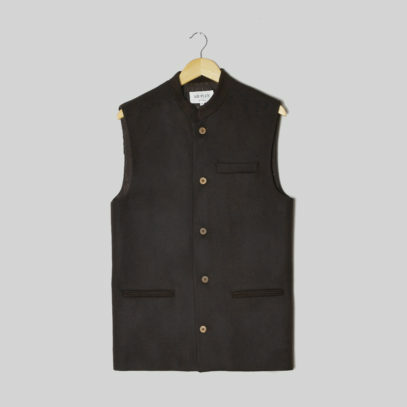 Pair with one of the brand’s new jumpers or Nehru waistcoat for a singular, transitional look. There’s no colour like navy. 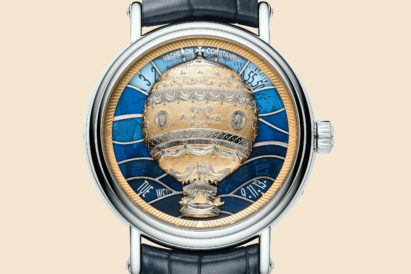 More versatile than it has any business being, this dark blue hue is one of the best shades to have in your wardrobe. Thankfully, it’s an opinion clearly shared by Sir Plus, who have cast some of their most reliable outerwear in the colour for AW18. 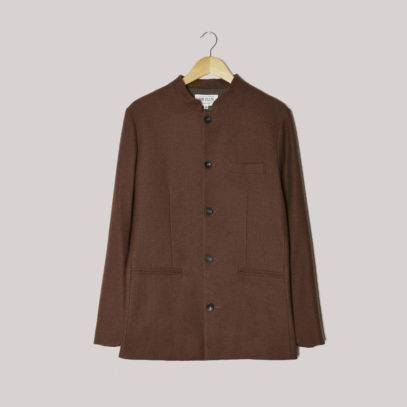 If you’re looking for a lighter jacket, this Nehru-collared piece will keep you cool through the autumn months. And then, when winter hits, zip up this thicker coat — the ideal piece for both formal or casual get-ups.